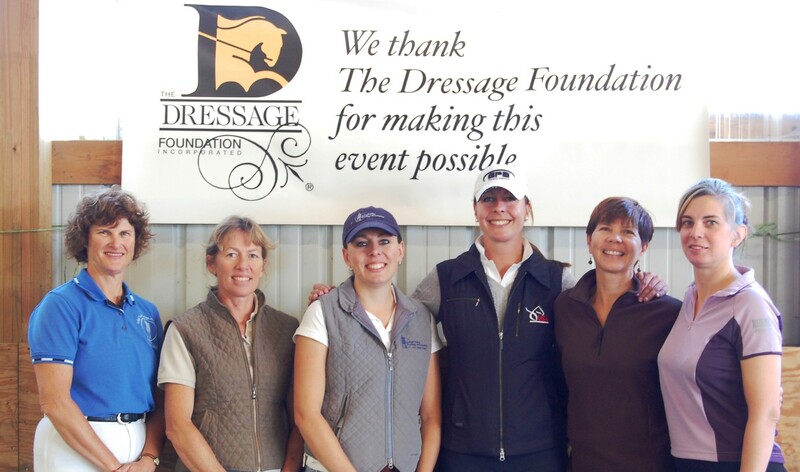 (December 5, 2012) - The Dressage Foundation is proud to announce this year's recipients of the Carol Lavell Gifted Memorial Fund Scholarships for Adult Amateurs. Each will receive a $1,000 Scholarship to enable them to set aside quality time in concentrated training with a horse they own, with a trainer of choice, away from the daily pressures of job and family. "Congratulations to these deserving Adult Amateurs for being selected to receive a $1,000 scholarship! Thanks to the generosity of Carol Lavell, her family, and friends, we are thrilled to provide this support," said Jenny Johnson, Administrative Director of The Dressage Foundation. "We hope that each recipient will make the most of the concentrated training time that this scholarship will allow, and we look forward to hearing from each recipient about her experience." Up to nine $1,000 grants are available each year (one per United States Dressage Federation Region). Additionally, two wild card grants are available, and can be awarded in any Region. The following Adult Amateurs were chosen as recipients from their respective USDF Regions to receive grants for training in the 2013 calendar year. USDF Region 2 – Mary Johnson (MI) and her horse, 5th of Bay Tovin, will train with Sarah Michael. Mary is a member of GLASS-ED (Great Lakes Area Show Series - Educational Dressage). USDF Region 3 – Kelly Vineyard (FL) and her horse, The Roman Knows, will train with Erin Brinkman. Kelly is a member of Arredondo Dressage Society. USDF Region 4 - Elizabeth Sue Hussey (MO) and her horse, Wolfsfalle, will train with Wick Hotchkiss. 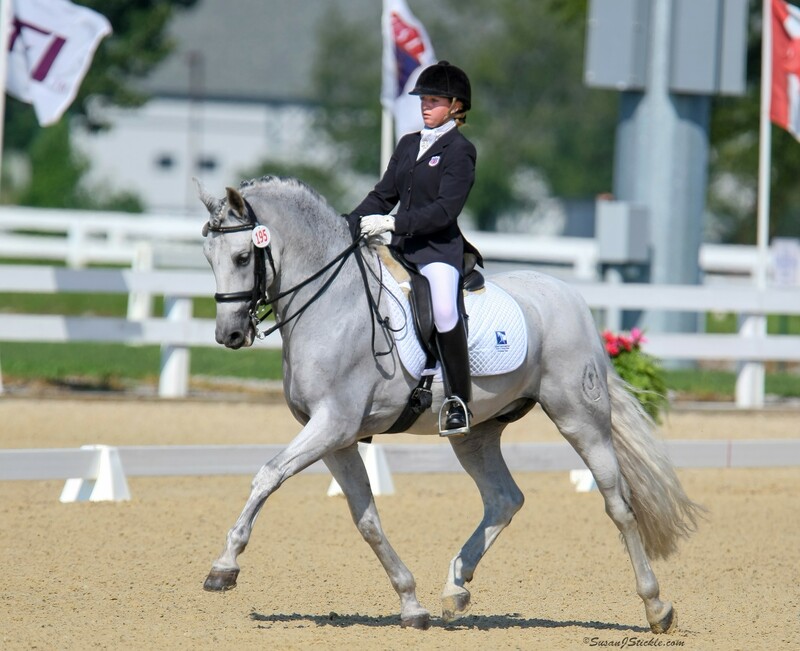 Elizabeth is a member of Columbia Dressage and Combined Training Association. USDF Region 5 - Michelle Dorsey (TX) and her horse, Bertolucci, will train with Sarah Martin. Michelle is a member of Paso del Norte Dressage Society. USDF Region 5 - Shannon Lemons (CO) and her horses, Shaman and Deven, will train with Sarah Martin. Shannon is a member of Pike's Peak Dressage Society, a chapter of Rocky Mountain Dressage Society. USDF Region 6 – Christine Erikson (WA) and her horse, NF Midnite Sultana, will train with Beth Anderson-Ness. 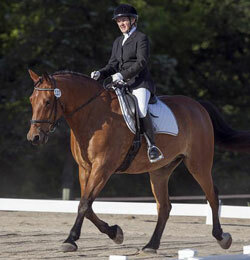 Christine is a member of Lower Puget Sound Dressage Club, a chapter of Oregon Dressage Society. USDF Region 7 – Zena Cooper (CA) and her horse, Feine Nacht, will train with Kathleen Raine. Zena is a member of the San Juan Capistrano Chapter of California Dressage Society. USDF Region 7 - Lesley Grove (NV) and her horse, True Texas Colors, will train with Sarah Lockman. Lesley is a member of the Sierra Nevada Chapter of California Dressage Society. USDF Region 8 - Kari Bradshaw (CT) and her horse, Briar Bay, will train with Ann Guptill. 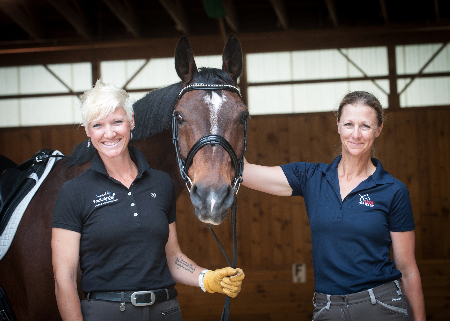 Kari is a member of Connecticut Dressage Association. USDF Region 9 – Lindsey Hankins (OK) and her horses, Onyx and Aleczander, will train with Sherry Guess. Lindsey is a member of Oklahoma Dressage Society. For more information about The Dressage Foundation and the Gifted Memorial Fund, visit www.dressagefoundation.org or contact Jenny Johnson at (402) 434-8585 or jenny@dressagefoundation.org.